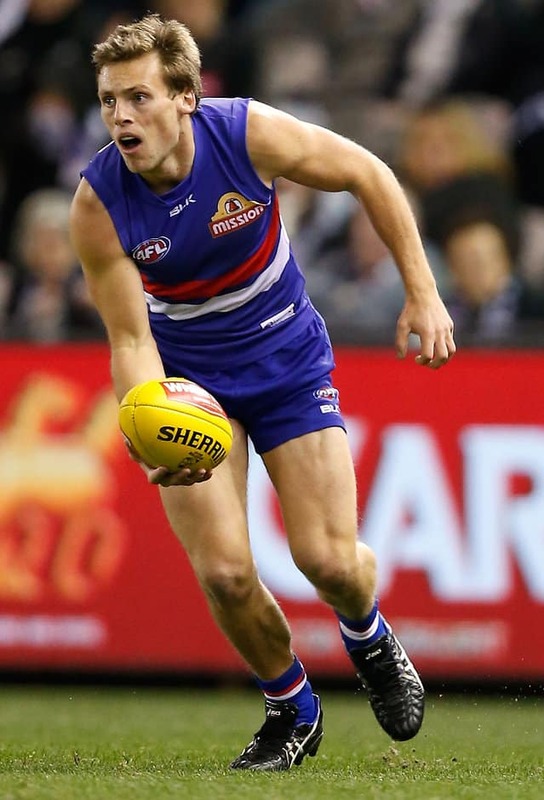 Prudden's 2015 in Review Josh Prudden and Assistant Coach Rohan Smith review season 2015 for the Bulldogs defender. Josh Prudden was one of many players to benefit from Luke Beveridge’s arrival at the Club in 2015. Beveridge had a strong stance on rewarding VFL form, and Prudden got his chance in round 15. Prudden made his AFL debut against the Suns, impressing with his composure in defence. The 21-year-old’s season highlight came against Collingwood in round 17, picking up 17 disposals, five marks and one tackle in the victory. Despite playing only four games senior games, after a low grade hamstring injury sidelined him in the latter parts of the season, Prudden showed significant promise. The young Dog signed a contract extension in September that will see him stay at the Club until the end of 2016. Prudden averaged four marks per game in defence. “Half-back was never something I played a lot of as a kid… but I’ve enjoyed it, and hopefully if I keep improving and get another pre-season under me, hopefully I can improve even more. “He played the four games which was great and he played some really good footy in those four games. He played as a high defender, because he’s used to being around the congestion so he slotted in really well and showed some really good signs, especially his ball use, he’s a brilliant left-foot kick, if he can use that as well as helping our Bulldog ball movement, but he’s also so dour and he never gives in. He’s just got that never give in attitude and he’s just fantastic for our Club.